Change the order of vaults - get me ⌘2 back! 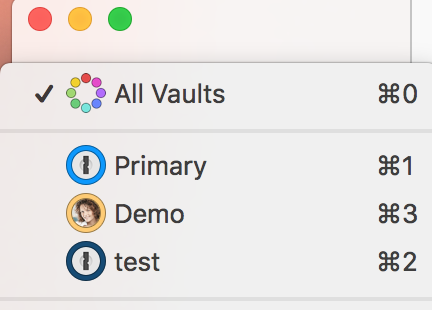 I just added another vault and unlike the 4 previous vaults I added, this one added itself in the #2 position, disrupting my keyboard shortcut muscle memory. I know many others have asked for this feature, so please add my +1 to the chorus! @JasonGarber: Thanks for letting us know you'd like to be able to reorder vaults manually. I can't promise anything, but it's something we'd like in the future as well. Cheers! 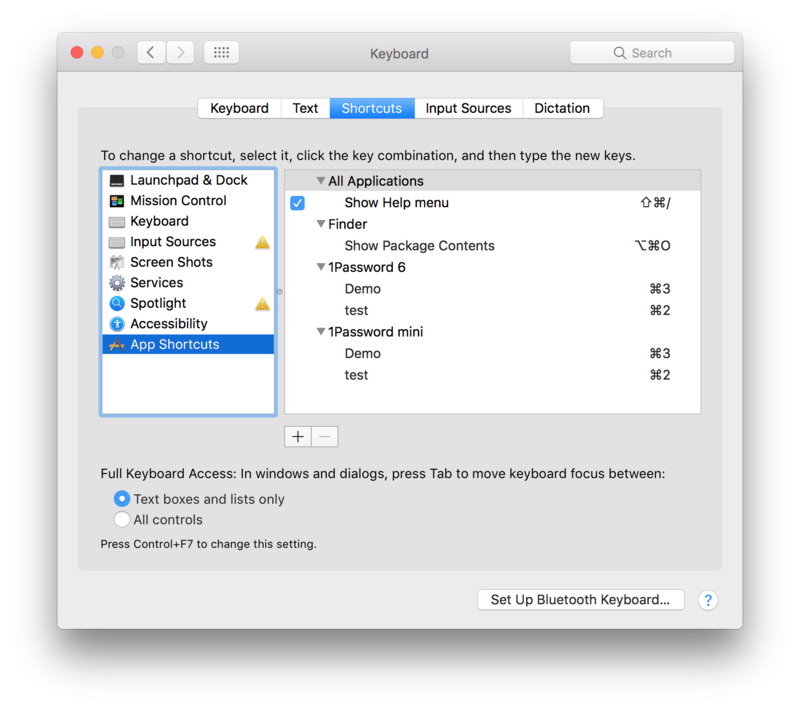 It is possible to (re)assign shortcuts used for switching vaults in 1Password for Mac by changing them in System Preferences. Here's an example of swapping the vault switching order of ⌘2 and ⌘3 shortcuts, set to standalone Demo and test vaults (respectively) by default. Maybe that can help get ⌘2 to switch to the same vault it did before you added the new one. @sjk: Awesome workaround! Thanks! That'll work great for the problem I presented. Then I went and signed up for a 1Password.com account to try out X, but now it's below a team I don't control, so the ⌘1 problem you mentioned applies. Thanks for giving me a workaround and anticipating my next problem!! Glad that workaround helped a bit in the mean time, but we'll keep working to make it easier to deal with a plethora of vaults. Thank you for your feedback on this! Thanks for letting us know you'd like us to add such a feature. @Ben Yes, I’m more concerned about the visual organization when I look at my list of vaults. Thanks! I just ran into this same issue. 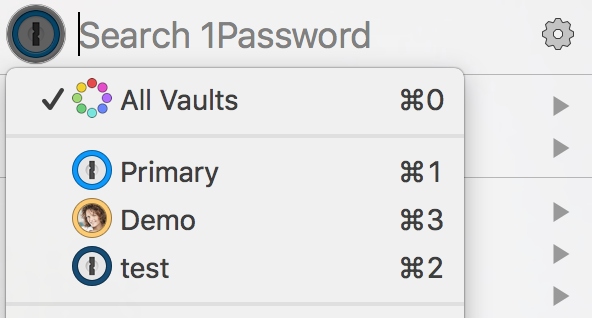 In 1Password 6 my vaults were in one order, and after upgrading to 1Password 7 they are in a different order! Very frustrating. I guess I will have to try the workaround. Hopefully that works for you. Please let us know how it turns out. 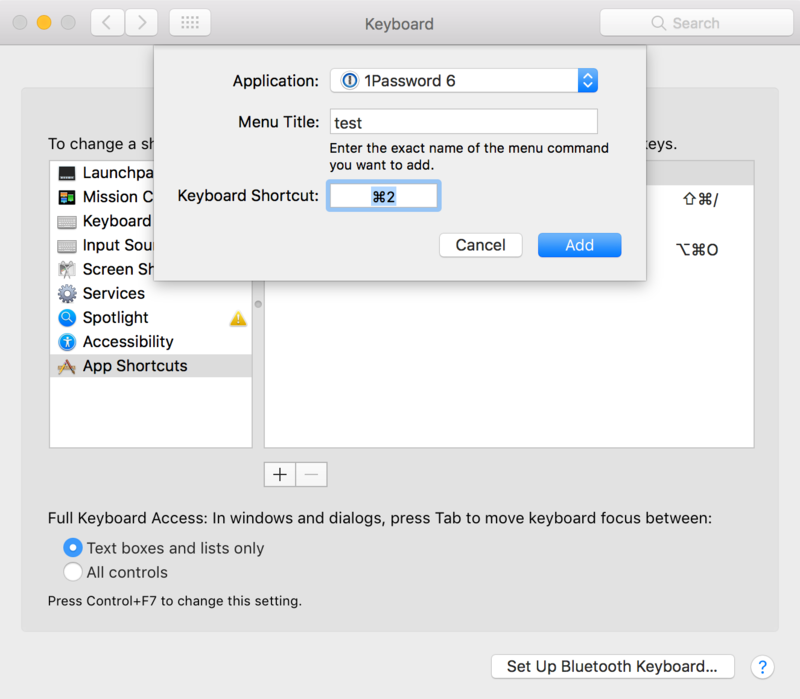 So I have set up the shortcuts, but for whatever reason, in 1Password 7 they only work from the menu bar mini 1Password version. When I open 1Password 7 it shows the new shortcuts in the menu but then as soon as I press them they disappear from the menu items, and nothing happens (the vaults do not switch). From the menu bar version it switches without any problems. Thanks for the feedback @craigc123. We'll add it to the list to see if we can improve this.